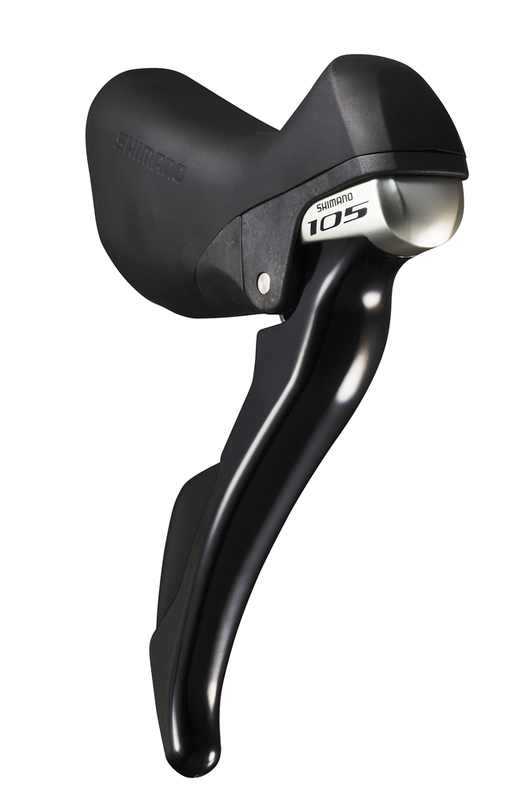 Shimano has released news of the latest update to its venerable 105 groupset for the 2015 model year. 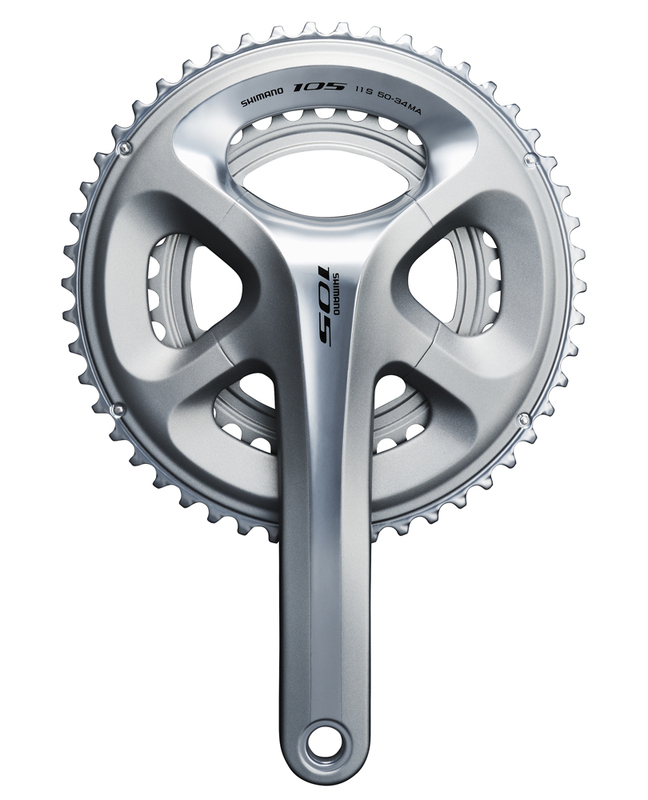 The new version – 5800 – becomes 11 speed, which is big news but far from the end of the story. With the headline-grabbing news that the mid-range groupset has gained an extra sprocket it’s the eye catching design of the four arm crank that will probably gain most attention and interest from potential customers. It seems that we very often talk about the drip-down of technology with all the research and development going into the top of the range groupset or component and with successive updates that same manufacturing process or design gets dripped down to the next level. What we see here is very much the effect of that drip down from 9000 series Dura-Ace to 6800 Ultegra and now to 105. 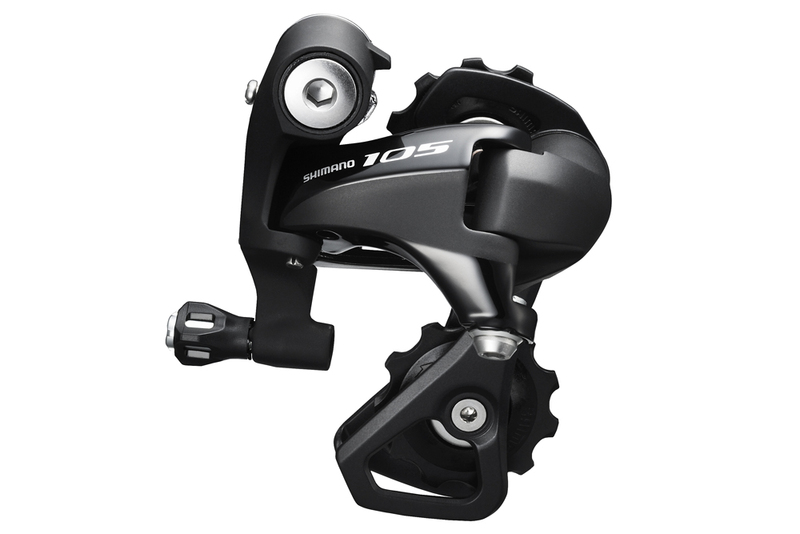 The fact that so much has been carried over is a testament to the amount of effort Shimano is putting into its current groupsets and a marker of just how good we expect the 2015 version of 105 to be. 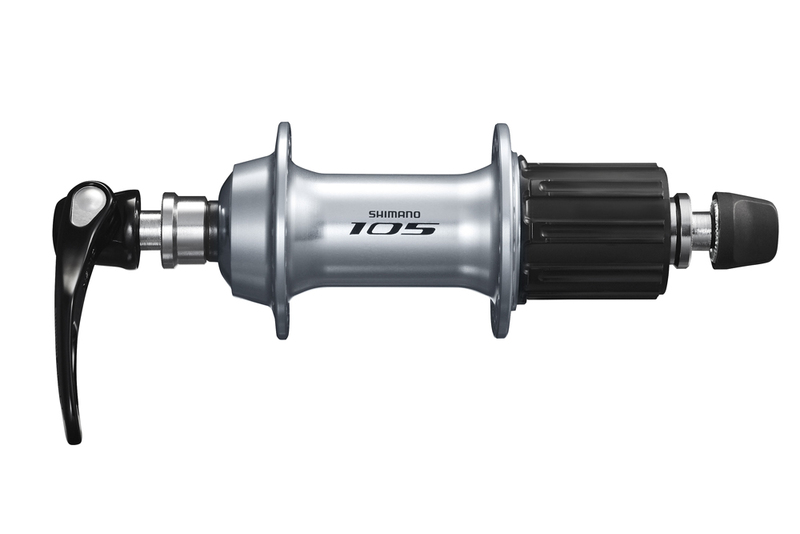 Most of the updates to 105 are taken from the 2012 release of Dura-Ace and if we were to point at one key to this it’d be the use of Shimano’s proprietary Sil-Tec polymer treatment, a friction lowering coating its used inside the cable outers and the chain to reduce effort and speed up shifting speed. The same Dura-Ace look gets rolled out to almost every part. We’ve already commented on the four-arm cranks and part of that look is a broad outer chainring that, thanks to its triangular cross-section, offers greater stiffness so more force can be used to gain a faster and yet a more accurate and positive shift. A direct copy from Dura-Ace, but with a solid chainring to save on costs. One of the other benefits of the broader chainring is that it allows a smaller bolt circle diameter to be used so there is now just one size, meaning you can run 53/39 chainrings or if you’re planning a hilly ride swap them out for compact 50/34 rings without having to change the cranks themselves. 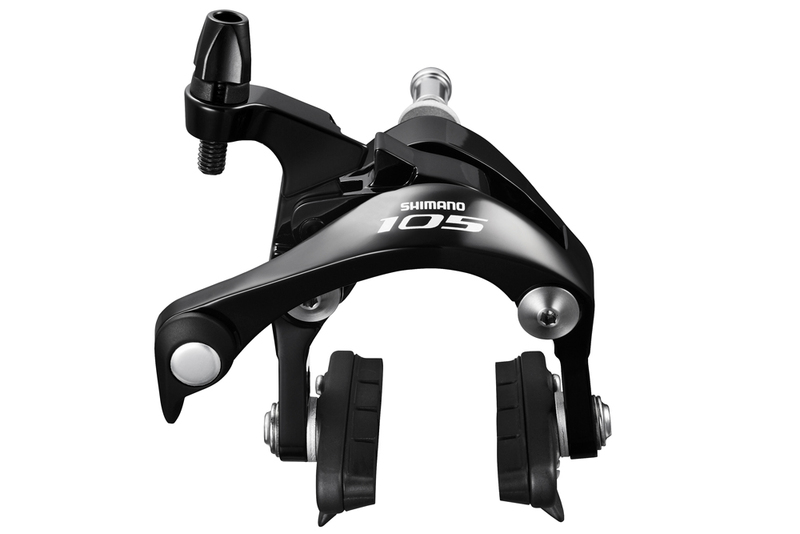 And so it goes with the rest of the groupset: the brake calipers gain 10% more power as well as the option for the ‘aero’ direct mount if you have a compatible frame. 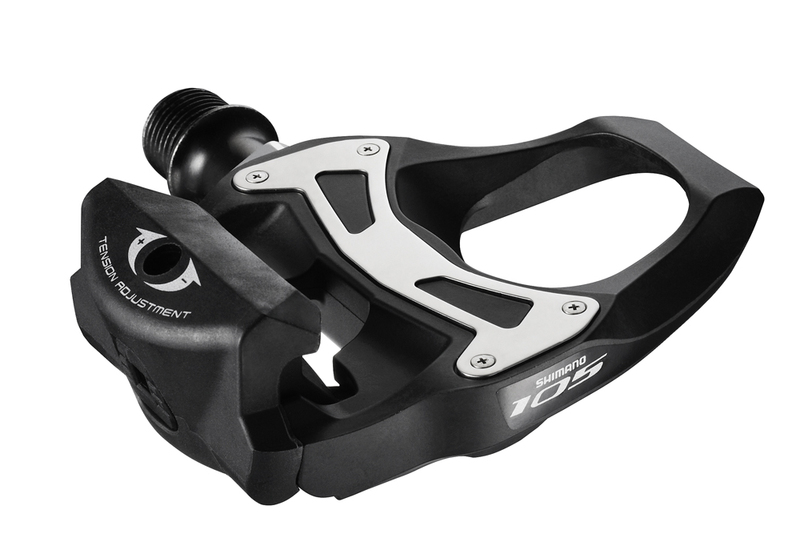 The pedals are composite bodied items but with 25g more material in the axle, bearings and inserts. 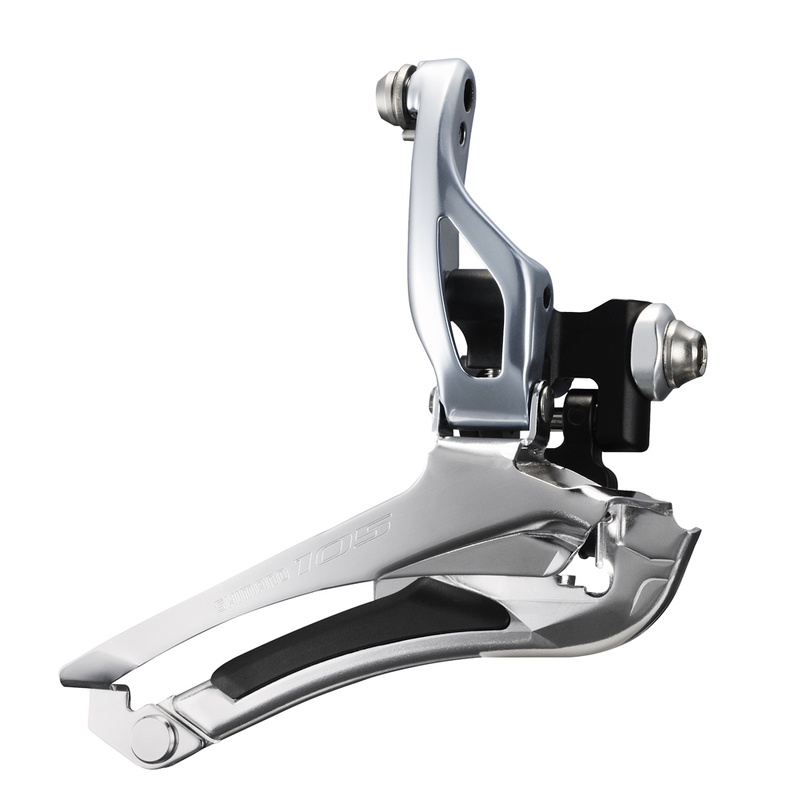 As mentioned, Sil-Tec has been used on the inner plate of the chain to aid smooth shifting, the coating also features in the body of the shifter and importantly inside the cables themselves. 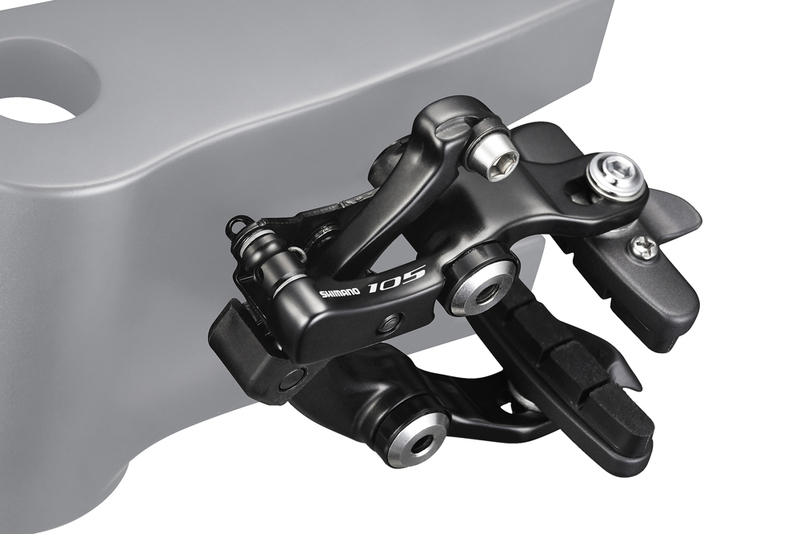 The shifters gain the new ergonomics as well as shorter lever throw; this has resulted in new geometries to the rear and front mechs – the latter also gains the secondary support screw to stop the mech rotating under load. 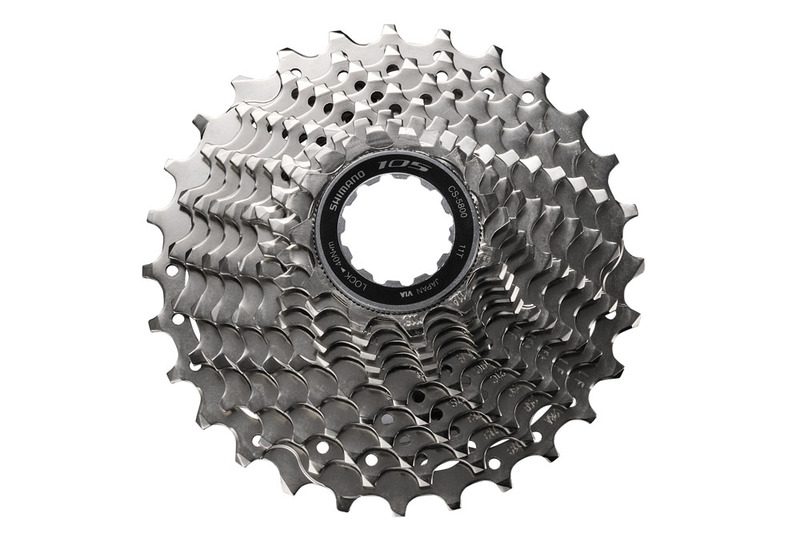 With an alloy carrier for the cassette sprockets, the 5800 version saves weight compared to the 10-speed version and yet without reducing the thickness of the individual sprocket they should last just as long. As we mentioned, 5800 is a model year 2015 product, which means that the first version will probably arrive in your local bike shop on complete bikes from the major manufacturers – the expectation is for those to arrive in mid-June of 2014. Below is the minimum price for each of the essential groupset parts, obviously these are the recommended prices and are correct at the time of the launch. Shimano have launched it's first wireless Di2 computer, compatible with Dura-Ace 9070, Ultegra 6870 Di2 and Ultegra 6770 E-tube systems.